New leasehold owner plans to make capital improvements with option to buy when lease ends. A subsidiary of Omega Commercial Finance Corporation has paid $1.96 million for the lease of a waterfront Florida Keys resort with plans to reposition the hotel and marina. The Miami-based, publicly traded holding company paid an $80,000 security deposit and will pay $25,000 on a monthly basis for the 2.9-acre property at 7200 Aviation Boulevard, formerly known as the Coconut Cay Resort. 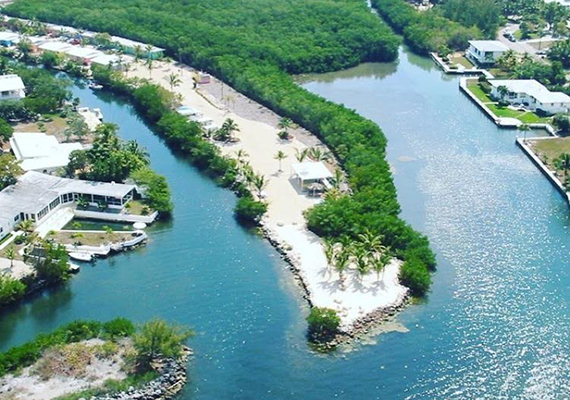 FLK Property LLC, the Omega subsidiary, will invest between $500,000 and $650,000 in capital improvements to the 25-room rental property, which will reopen as the Bluewater Cay Resort & Marina. It includes a pool and common area, 20-slip boat dock and fully occupied rental units generating monthly incomes. Omega will also have the option to buy the hotel for $6.5 million after the five years of leasing, according to a press release. “Ultimately, our macro view is that by repositioning this asset it will become one of the pieces to the puzzle incorporated into our plan to migrate to the NYSE in the near future,” Eran Danino, president of Omega, said in a statement. Last year, hotelier Jim Rhyne, who owns the property, told The Real Deal he was in the process of renovating and expanding the resort. “The dynamic for investment at this point is very, very good,” Rhyne said at the time. High room rates in the Keys are fueling a hotel redevelopment boom. By the end of 2016, more than a dozen Keys resorts will have either relaunched after a major renovation or opened for the first time since the start of 2014. These properties will account for about 1,600 rooms. In February, the Blackstone Group sold the Hilton Key Largo Resort for $62 million to a California investment firm, marking one of the Keys’ most expensive hotel deals.